You’ve most likely been here before, probably more than once. Down and out over a guy. Feeling disappointed, hurt and maybe even a little angry. Whether it was a long-term relationship, a short-lived affair or a fleeting fling, it really doesn’t matter. The emotional effect is still the same. Eventually, time heals all wounds. But while you’re waiting for that time to pass, there’s a convenient and easy way to ease the pain in the present. Whenever I’m on this boat, I put the tissues away and tune into one my favorite classic comedies. They never fail to cheer me up. Because really, what good does crying do? Laughter is the best and most effective medicine, because nobody can make you feel better, no matter what they say. But film is different. It can bring an unconscious smile to your face when you feel like you won’t smile for days. Or make you laugh uncontrollably when you want to cry. That’s why I’m sharing my top pick-me-up classics; they’re good to have on hand when the going gets rough. 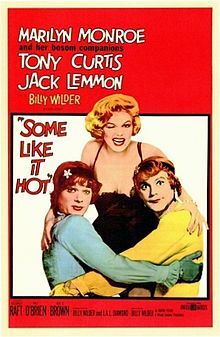 Taking the number one spot on the American Film Institute’s Top 100 Laughs, Some Like it Hot is one of the richest comedies ever created. Jack Lemmon and Tony Curtis shine as two guys who go undercover as dames in an all-female band starring Marilyn Monroe. This handsome duo will turn your frown upside down as they learn a lot about life, themselves and women. Kick back and relax with Robert Redford and Jane Fonda in this hysterically quirky chronicle of a newlywed couple. Between their rundown NYC apartment, eccentric neighbors and trivial tiffs with each other, the comical twists and turns don’t quit. 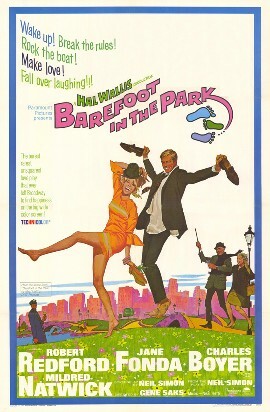 Barefoot in the Parkhas an interesting flair that’s sure to engage and entertain you. 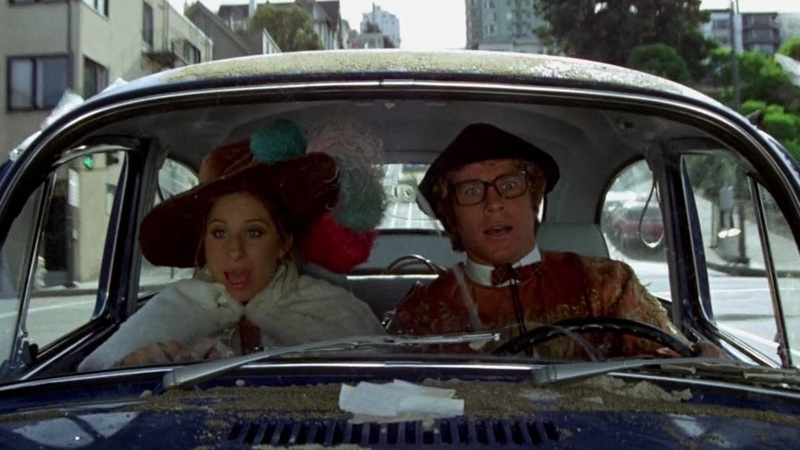 Join Barbra Streisand and Ryan O’Neal on a hilarious roller coaster ride through San Francisco in this modern take on an old-fashioned screwball comedy. Zany smart girl meets shy scientist for a riotous romp anchored around four identical overnight bags. 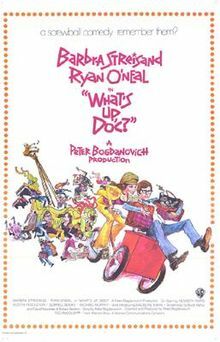 Full of sharp dialogue and effortless physical comedy, What’s Up, Doc? is as charming as it is fun. Doris Day and Rock Hudson have the uncanny ability to immediately make you feel better. See them in full bloom in their final onscreen pairing about a hypochondriac man who thinks he’s dying. Comedic chaos ensues when he enlists his overly concerned buddy, played brilliantly by Tony Randall, to find a suitable new husband for his wife. It’s impossible not to smile watching Send Me No Flowers; it’s funny, sweet and easy to enjoy. This list wouldn’t be complete without a girl-power comedy, now would it? So spend the night with Marilyn Monroe and Jane Russell. These two showgirls will take you on a glamorous ride, singing and dancing about whether it’s better to marry for love or money. 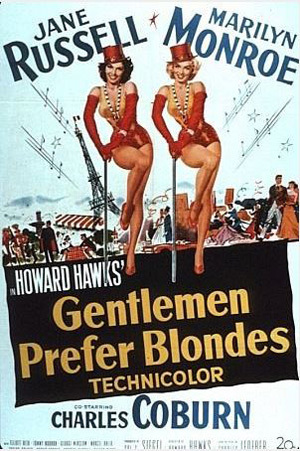 With performances as vivid as the eye-popping Technicolor, Gentlemen Prefer Blondes is as dazzling as diamonds. You’ll get lost in the pure lighthearted fun that’s just as marvelous as Marilyn herself. If all fails, and these movies don’t bring you some cheer, just remember these wise words from Ms. Monroe, “Sometimes good things fall apart, so better things can fall together.” Tell yourself that every day, and in time you’ll see that everything happens for a reason.